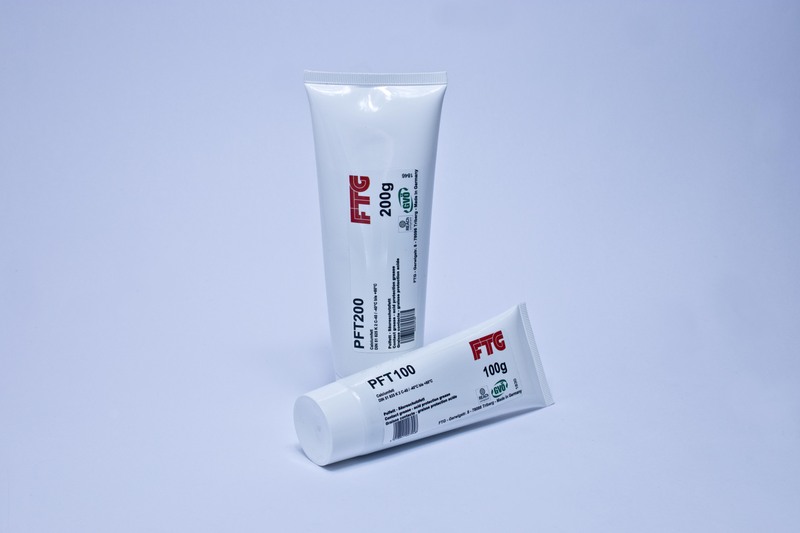 PFT contact grease is a grease based corrosion protection agent for electrical contacts. This grease has a smooth, supple structure, a favourable cold behaviour, is water-repellent and is resistant to both cold and hot water. It protects against corrosion, oxidation and salt formation. PFT contact grease is electrically non-conductive. If the terminals are properly tightened, the terminal pressure is sufficient to displace the grease layer and thus ensure gas-tight direct metallic contact. Before applying PFT contact grease, put on the tube cap and remove oxides from all contact surfaces in order to make them metallically bright. It is applied thinly to terminal contacts as a closed film.